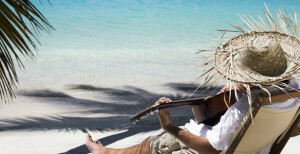 What’s more enjoyable on any vacation then music? You may or may not be a music lover, you may enjoy a book over a harmonica, or a beer over a baritone sax. But at some point during your vacation there is a very good chance that live music is involved, or is at least playing in the background while you socialize over fine spirits and good food. Well, how about this. How about you try picking up an instrument on your next vacation. Imagine traveling the world with your luggage in one hand and your instrument of choice in the other. I don’t care if it’s a dumbek or a tambourine, it’s time to challenge your body and mind and try something totally new. I mean, isn’t that what a vacation is about? Traveling the world to find new places, people, food, music, and more! Ok, I believe you may be getting the drift here. So where do you start? Well, that is a good question. You see there is a plethora of online resources available to assist you with all you’re learning needs. I don’t care if you want to learn web design, or how to cook a Caribbean dish while vacationing on the beaches there. There is an online resource for everyone. However, this post specifically was designated to the inner musician in you. Like a great cook, a great musician must study the trade and apply the techniques given to them in order to achieve a decent level of playing. This is the same as cooking, if all you know how to do is bake a dish, your food diversification would be as bland as those whose musical interests are exclusive to one musical genre. So here is what we recommend, purchase a cheap travel guitar. You can search Google for pricing and variations of them, but the really cool ones are collapsable. So a lot of this is going to depend on budget. 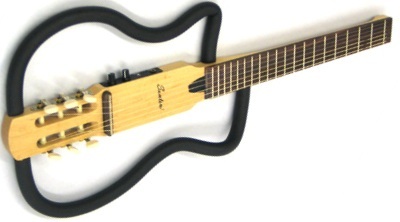 But check out this Santini collapsable acoustic guitar for travel. Next, get yourself a laptop or a mobile tablet. I like the mobile tablets with built in cellular services. I can literally grab the guitar and tablet, pack it into travel friendly luggage and be on my way. So now imagine, you have traveled to the beautiful beaches of Cozumel and you have your acoustic guitar, a tablet with cellular services, and a Perfect Margarita. That sounds amazing, but now what do you do? You need to learn how to play you guitar right? Yes, and that’s why we brought along our cellular friendly mobile device. Here is where it get’s fun, find yourself an online acoustic guitar training for beginners course, take a pull off of your Perfect Marg and start strumming your 6 string. This website offers so much for the beginner guitarists. They teach you how to use different accessories, how to play chords, and basic finger exercises for guitar. Come back and visit us for more fun, safe travel ideas for tourists of all experience levels. Please also enjoy this Youtube video on traveling safe.